Welcome back to Week 5 of my 12 weeks of Christmas series. Oooh, it is getting close now can you believe how fast this year is going?! For stamp club recently I was asked to teach the glitter technique. It is a class I run every year as it has such a pretty effect. Mind you I always run out of glitter! Here is my card. 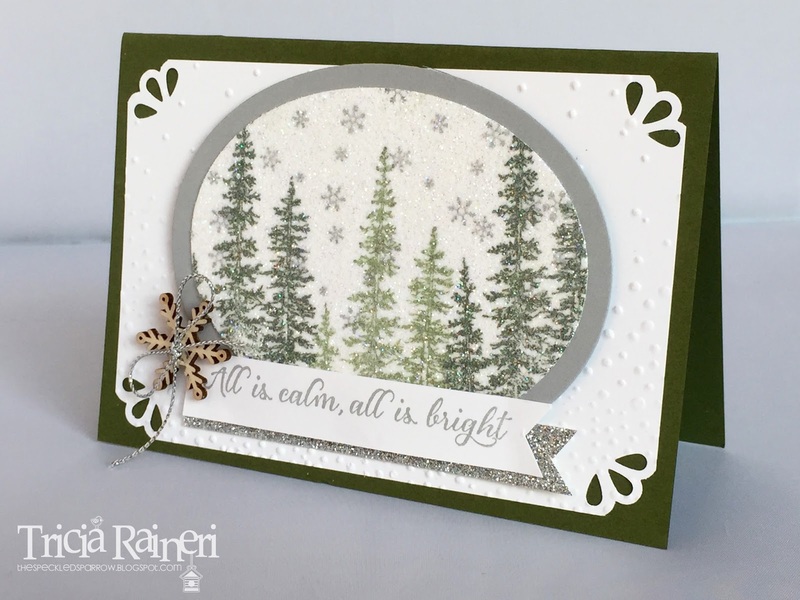 I used Wonderland & generation stamped in Mossy Meadow. 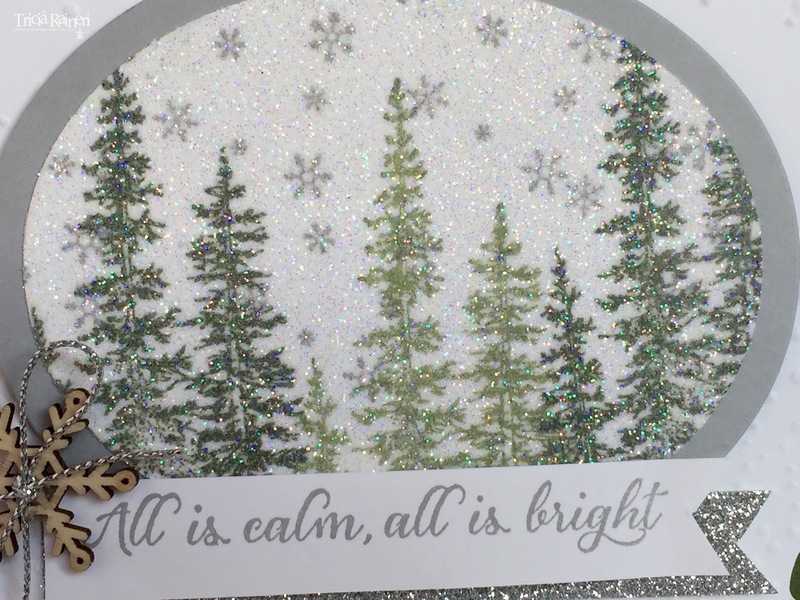 Here is a close up of the glittered panel. It is very sparkly & pretty in real life, it's a bit hard to see in this photo. 3) Sprinkle heat & stick powder all over & heat with heat gun until powder is melted & sticky. 4) Sprinkle Dazzling Diamonds glitter all over & heat again. Ensure the image is heated all over so the glitter sets. This technique looks lovely on ornaments, most Christmas stamps & anything snowy. Why not give it a try? Trust me, you'll love it!